This web site takes you through the CAA application process and helps you submit the application online. 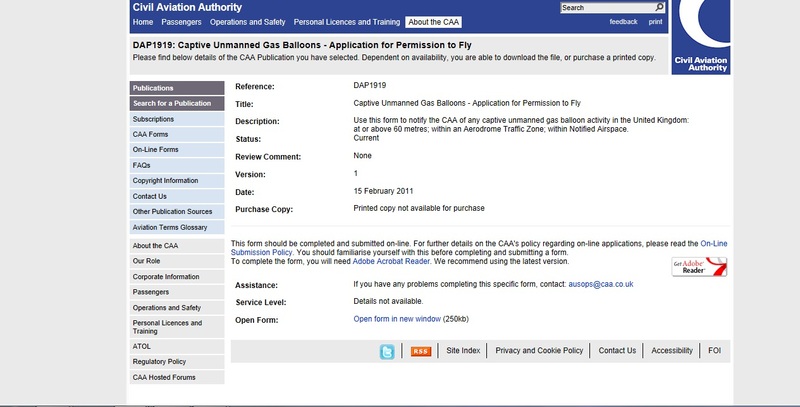 As well as an online for allowing you to apply for your permission to launch, there are links to the regulations laid down by the CAA. Applying to launch the balloon is free. 2. What size balloon do I need and how much gas do I need to give it? Cambridge University Spaceflight Burst Calculator. This part of CUSF web site offers a wonderfully simple and informative way to model your balloon size, gas volume, target ascent rate, and all the other things you need to plan your flight. The calculator is based on a wealth of data from actual balloon launches and covers a range of balloon manufacturers. For more experienced HABists , it also covers a range of gas types and other constants so you can plan in detail your flight. For the beginner, it will help you pick a balloon and then work out your gas needs. Cambridge University Spaceflight Landing Predictor. This is a tool to predict the flight path and landing location of latex sounding balloons and uses a version of the burst calculator previously mentioned. For the beginner, it will help you plan your launch site, launch day, and launch time; minimizing the scale of the hazard your balloon will make on take off and landing. For the more advanced user, it is the basis for hourly forecasts which can help you plan your launch time to greater effect. http://www.xcweather.co.uk/GB/forecast or one of the many weather forecast web sites out there. No flight plan is complete without an accurate ground level weather forecast. Many web sites compete in this market but this is my personal favourite. 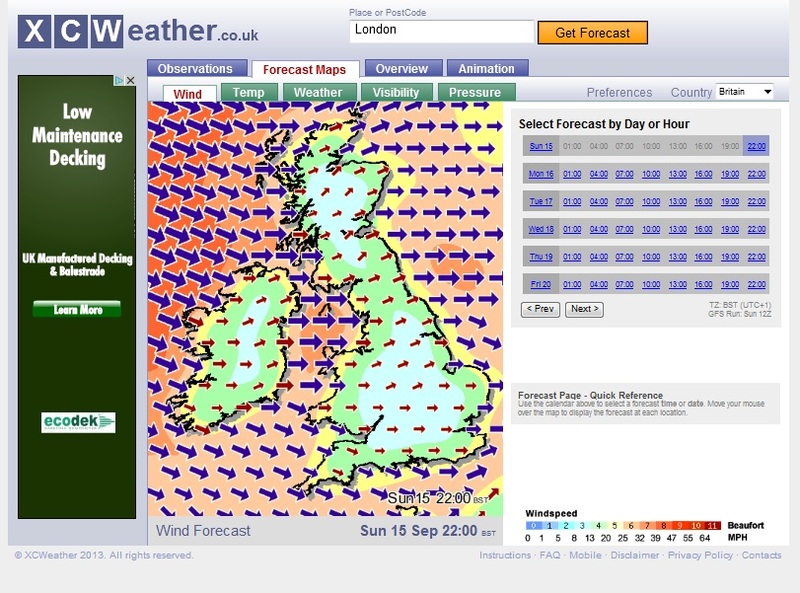 It is visually clear, especially on wind data and is less cluttered by adverts. note : this will only show where the tracker is up to 1 week after you turn it on. The examples given relate to UK launches but there are equivalent civil aviation authority web sites in all countries – some easy to find and some less so. There is also an alternative to the CUSF predictor provided by Wyoming university. I’ve tried to keep the list of must see web sites as short as possible but if there are others then please let me know and I will include them in the round up.